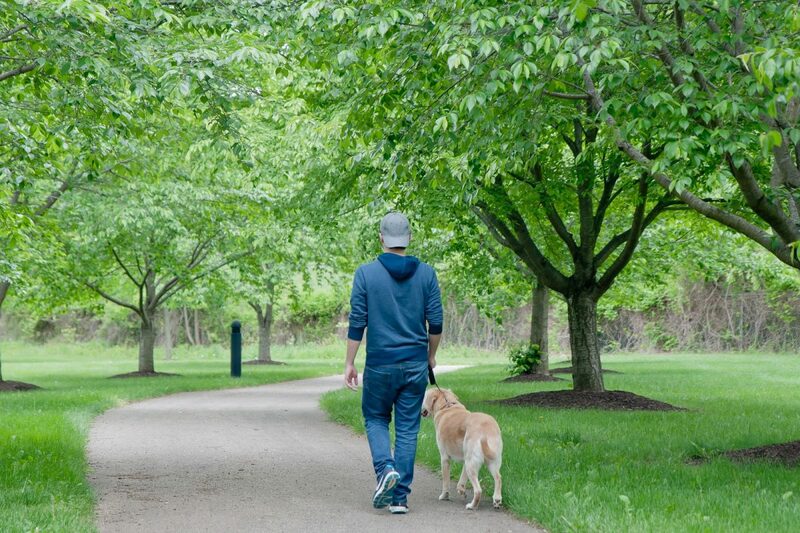 Ambler borough Park is a 9 acre, dog-friendly park, that straddles Rose Valley Creek. It can be accessed off of Henderson St. This park is ideal for outdoor recreation activities including walking, hiking and nature observation. This 17 acre park includes a 3/4 mile walking trail that is a perfect loop to take with your pooch. The Green Ribbon Trail is a passive recreational trail that shadows the Wissahickon Creek. This 12.6 mile trail is well marked and connects a variety of parks and protected natural nearby areas, beginning at Parkside in Upper Gwynedd Township and ending at Stenton Avenue in Whitemarsh. While you’re enjoying this trail, please keep your dog on a leash. Four Mills Nature Reserve is the 52.75-acre site of woods that stretches from Butler Pike on the north to the woods across Morris Road, towards Germantown Academy. Ambler Rotary pedestrian bridge crosses the Wissahickon below Butler Pike, creating an important connecting link from the Borough of Ambler to Four Mills. Please keep your dog on a leash while walking this reserve & trails.